"Pierced Heart" roll-neck sweater in shocking pink cashmere. 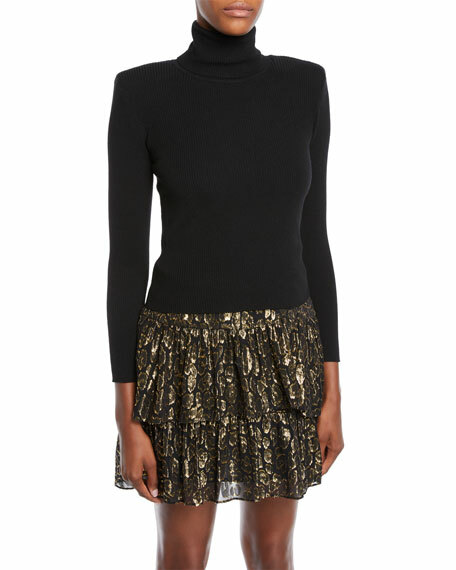 Schiaparelli sweater in cashmere knit, featuring pierced heart front detail. A.L.C. 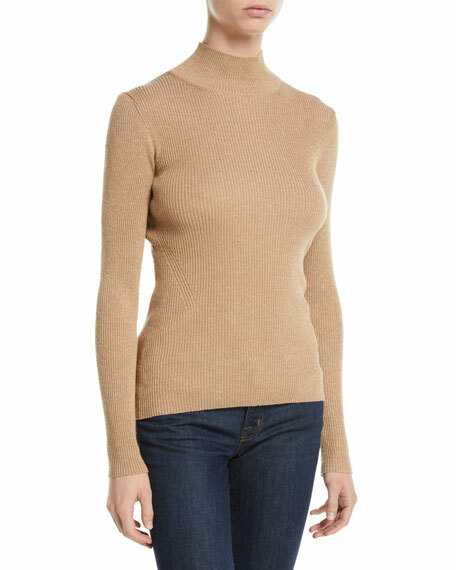 "Addison" rib-knit sweater. Turtleneck. Long sleeves. Slim fit. Slipover style. Merino wool/polyester. Dry clean. Imported. Christian Wijnants "Kolkata" round-knit sweater. Turtle neckline. Long sleeves. Relaxed fit. Pullover style. Merino wool. Hand wash cold. Made in Spain. 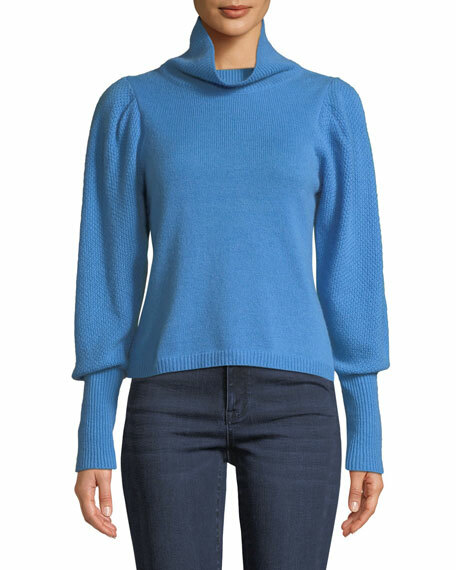 Diane von Furstenberg "Beatrice" sweater. 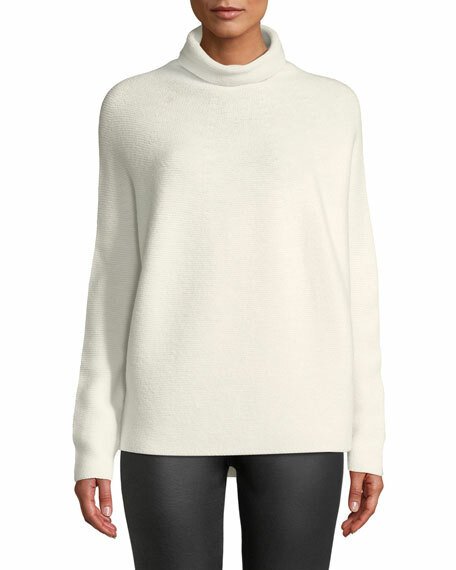 Ribbed neck, cuffs, and hem. Turtleneck. Long bishop sleeves. Relaxed fit. Pullover style. Wool/cashmere. Imported.